Arsenal boss Unai Emery has casted doubt over the long-term future of veteran goalkeeper Petr Cech. The four-time Golden Glove winner plays second fiddle to Bernd Leno. According to The Sun, Unai Emery revealed that “He doesn’t know about Cech’s long-term future” at the Emirates Stadium. Cech’s start against Blackpool in this weekend’s FA Cup tie could be one of his last in an Arsenal shirt. Cech looks set to follow in the footsteps of his Gunners teammates Aaron Ramsey and Danny Welbeck by leaving the North London outfit on a free transfer. Unfortunately Cech may have become a victim of the age-old change between the old guard and the new. The modern goalkeeper is expected to be extremely comfortable with the ball at his feet and at 36 years of age you can forgive Cech for failing to change his game successfully. It’s worth noting that Cech’s standing as one of the Premier League’s best ever is undeniable, the 36-year-old has left his mark on the Premier League by setting the bar at a whopping 202 clean sheets. It will take some doing from the likes of Alisson, David De Gea and Ederson to even come close to that number. Cech’s last outing for the Gunners came in their 2-0 defeat to North London rivals Tottenham in the Carabao Cup quarter-final clash two weeks ago. “I don’t know about Petr’s long-term future. “That is for the club and player to deal with. 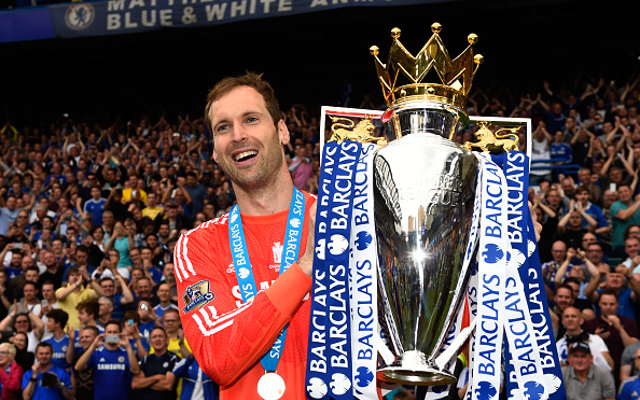 “Petr is going to play at Blackpool and then we will decide what is best for him and for the club. “His commitment and behaviour have not changed. He has shown respect for our decision and our other keeper and I am happy with that. There’s no doubt that Cech will receive a wonderful send off from Arsenal fans if his time at the Emirates comes to an end this summer.